The Star-Spangled Banner has been performed by countless singers over the years, each one putting their own unique spin on it. This rendition of the U.S. National Anthem, however, isn't from just one singer, but 500. 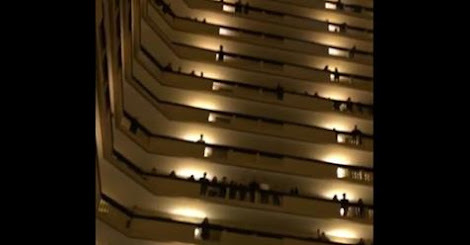 These high school choir students have a tradition of singing the National Anthem in a high rise hotel at the annual KMEA conference in Kentucky.